I trudged to Chelsea through the disgusting rain tonight for a lecture on August Sander and Seydou Keïta at The Walther Collection. Art historians Shelley Rice and Lisa Binder gave a quick, entertaining intro to the two photographers. 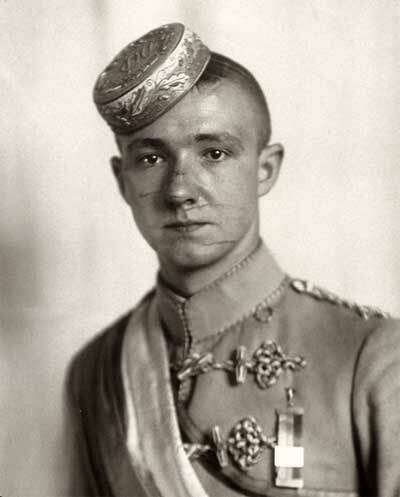 August Sander, who worked in Germany in the 1910s and 20s, set out to be a social documentarian, but as Shelley Rice pointed out, his photos have a majesty beyond a mere census-taking. Each archetypal subject—the doctor, the bricklayer, the revolutionary—presents himself to the camera as a representative of his class, and ultimately the German civilization. The farmer or librarian in the photo is practically anonymous, but he trades his personal identity for the force of his whole nation. Although Sander was constantly on my mind when I made Strangers, I hadn't seen his original prints before. Old prints are so small! But the tonality of the ancient negatives and papers is astonishing. 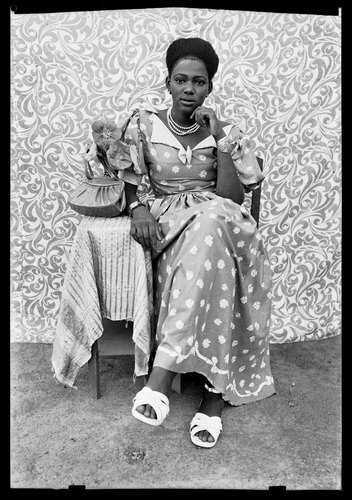 Seydou Keïta was a commercial photographer in Mali in the 1940s and 50s. Only in the last two decades have his portraits been promoted to fine-art status. Lisa Binder delightfully summarized Keïta's mythos as a "discovered" artist and hinted at the reality behind the myths, though she didn't have time tonight to give the details. Each time I encounter Keïta I seem to hear the same conversation about the blurry distinctions between European art and African commercial photography, and I hear the same open-ended questions about whether we're honoring Keïta or in some insidious way re-colonizing him. Regardless, Lisa Binder provided more interesting ideas about Keïta's subjects' effortless blending of African tradition and global modernity. The gallery walls displayed recent reprints of his negatives in the contemporary style: high-contrast, clean, and large. A small room on the side showed a handful of Keïta's original contact prints for his clients. The originals were small, cracked, yellowed, and heart-breakingly intimate. When I took the "Photographing Communities" class at ICP a few years ago with Dina Kantor, day one was August Sander and Seydou Keïta. If you want to photograph people and their culture, these two photographers are the starting point. To see them juxtaposed in a white Chelsea gallery will make your head spin—it's worth the trip.